Only soft cover journals are allowed, covers may be up to the weight of soft cardboard (think cereal box board) but no heavier. NO plastic coil bindings are allowed. No sharp binding fasteners should be used (heavy staples, brads, etc.). 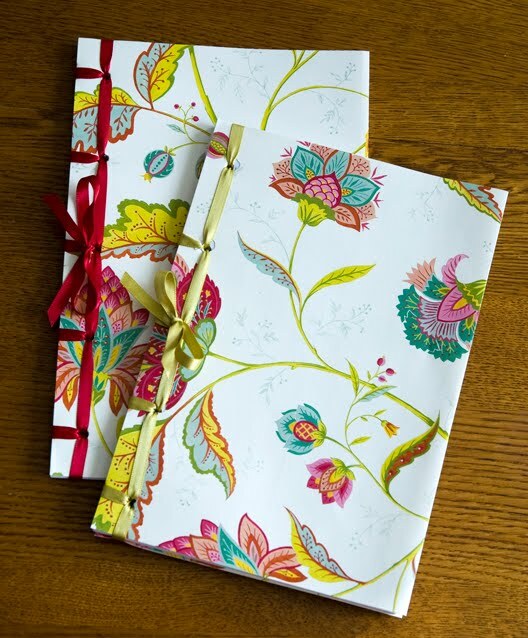 If you're not sure what to make or want to encourage some non-bookbinding friends to get into the act check out the great resource we have in the BEST blog Tutorial page. Check out the Japanese Stab Binding page for a slew of great resources. 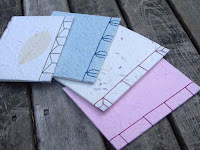 Even if you're an experienced binder, consider using the tutorials (or your own know how) to teach friends and family to make books to contribute. BEST member Ruth Bleakley has a wonderful write up of the CBWP binding event that she held earlier this month, check out her blog for details and ideas! But before you pop them in the mail, we'd love to see what you made! Share a link to a picture of your book(s) in the comments section, and let us know about any special crafting events you hold to make books for CBWP. I'll be back for a post later in the Spring showing some of the good works made and donated to CBWP. Happy crafting!